Ask a woman what she finds most attractive in a man and she’ll be quick to say ‘personality’ or ‘sense of humour’, with a very few (honest ones) really mouthing the word ‘Looks’! I agree that a man’s sense of humour and personality are charming attributes, but let’s be honest- how many of us will actually sit through and invest time in getting to explore a guy’s personality and witty side if we do not find him physically attractive? Even though physical appearance might not be everything, it is indeed the first thing that will pull you to a person. When it comes to getting dressed for a night out in town, men will take pride in saying they take less than 30 minutes to get ready, whereas their female counterpart takes over 2 hours! Let’s see how that works. Talking from personal experience, when heading for a night out, my husband’s transformation from ‘the slob’ to ‘the neatnik’ happens before I can even decide what shoes match with my dress! All he really does is shave, take a quick shower, splash some aftershave, spray his favourite cologne, puts on a pair of jeans and a t-shirt and runs his fingers through his hair. I on the other hand need an hour to decide what to wear and what to pair with it, another half an hour to apply my makeup (war paint in his language!) and then take another half an hour asking him how I look! Women do take a lot of pride in how they look, their appearance and being prim and proper, but lately, even men have started to pay a lot more attention to their looks, grooming themselves and making sure they make a fantastic first impression. 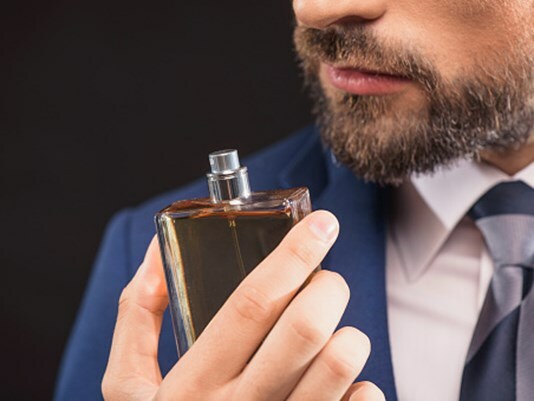 With male grooming at par with female grooming these days, let’s take a look at some male beauty tips that will help you leave a mark on a woman the minute she sets her eyes on you. 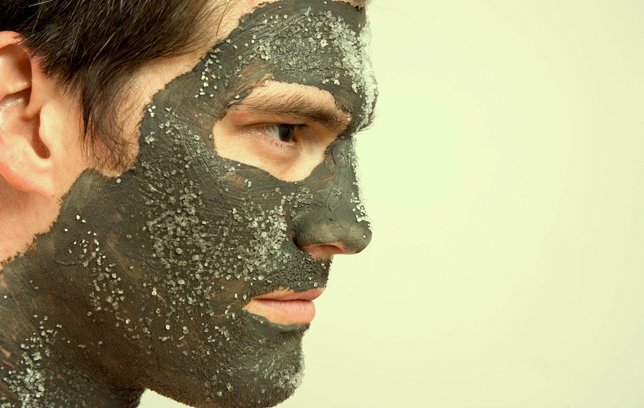 Facial Scrub (especially for men) to exfoliate dead skin and get smooth, fresh skin, is a must have. Also, facial scrubs, if used before shaving, ensure a close and smooth shave. So bid goodbye to razor bumps and rough skin! Facial Moisturisers help keeping the skin moisturised and hydrated. They are great to use after you have shaved, as it will keep your skin from drying. Use an SPF moisturiser to protect your from sun. For all men over 30, try anti-ageing gels to help reduce wrinkles. I don’t know how many of you would agree, but gone are the days when the dishevelled and messy look was considered cool. 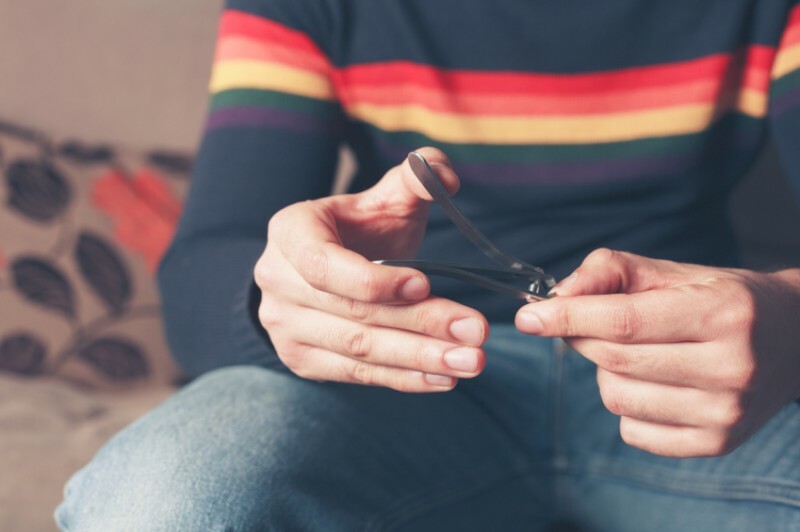 Shaving doesn’t necessarily mean you are clean shaven at all times, but trimming your facial hair and keeping it clean and tidy will definitely score you some extra points. Manicures aren’t just for girls. Well-kept nails look equally great on men and that is something I can vouch for. Men needn’t panic after reading this, you needn’t go to a salon to have your nails trimmed or burn a hole in your pocket; instead all you need to do is ask your mother, sister, girlfriend or wife to show you the art of nipping and filling nails. Irrespective of how often one cleans their teeth; they can become stained if you often drink tea and coffee or smoke. The cheapest option to get clean, white teeth is to use whitening toothpaste. If you are looking for a quicker, more efficient method to get a sparkling smile, visit a dentist and get a cleaning procedure done. Clean teeth don’t always mean fresh breath! Regular brushing will help keep your teeth and gums healthy, but it is a must to invest in a mouth wash as it reaches parts in your mouth that a regular brush cannot. Shave v/s not to shave? This is definitely a matter of your personal taste, so go in for it if you feel it is right, but if it’s not appealing to you, don’t. Body hair can be very easy to manage even if you do not wish to shave; all you need is a good trimmer that will help you trim body hair. I know it sounds a tad bit weird, but cosmetics for men are pretty popular in the market today and it does not always mean ‘makeup’. For a man, cosmetics can be anything from skincare creams, face scrub or face masks to coloured contact lenses; deodorants, lotions, perfumes or powders for the body to bath salts or hair colour! – and trust me men today are using these cosmetics to highlight their best features. There is nothing wrong with a man trying to accentuate his best facial feature! Looking good is one thing, smelling gorgeous another! Aftershaves, deodorants, roll-ons, colognes- they all are a great choice if you wish to smell divine. Says who that women don’t pay as much attention as a man to how the partner smells? There’s no hiding the fact that sweat smell is a BIG turn-off! Men usually can wake up in the morning, just run their fingers or a comb through their hair and be good to go, but they do not understand the importance of using a good shampoo. Investing in a good shampoo and conditioner can change the look of your hair, regardless of the hair type. Choose a shampoo rich in vitamin E, as it naturally strengthens and conditions hair follicles. A hot oil massage will leave your feeling relaxed, help you unwind and give your hair a natural, great looking shine. Hair dye is another area men are not very willing to explore. Even though going grey looks great on many, getting your hair dyed may not be that bad a choice. If you think getting hair coloured by a professional is like flushing your money away, opt for a DIY hair dye that is cheaper, economical and easy to do. Lastly, to look good, feel good and ooze with confidence!